There may be times when circumstances change in custody cases. In this instance the father believes the mother has mental health issues. There’s nothing wrong with having mental health issues but if you are in a custody case it’s important that you are getting treatment that you need & follow those treatment plans. In this case my client believes the mother has had these mental health issues & because she had not been treating them, she was placing the children in dangerous situations, negligent & in some cases reckless in her conduct. My client believed that when the children were in her care they were in danger of serious harm or injury. So he wanted to limit her parenting time. Not Happy With Your Family Law Attorney? Here's What You Can Do. In a lot of the questions & comments that I get, a lot of my viewers are being represented by a family law attorney. They are looking at my videos just to supplement what they are doing with an attorney. But what I am also hearing is that people are either dissatisfied with the communication with their attorney or they are not happy with the work the attorney is doing. The point I want to get a across to you today is you have to communicate with your attorney. You have to tell your attorney what it is you expect & what it is you want. Furthermore, you must be open-minded where your attorney is concerned. In this weeks video I want to talk some possible consequences if one fails to appear on a family law court date. It's never a good idea to not show up for your court hearing in your divorce or custody case. Especially if you have an interest in what the outcome might be. Now if you don't have an interest in what the outcome might be meaning you don't care one way or the other it's still not necessarily a good idea not to show up. A lot is going to depend on what type of hearing that you are not showing up for. In some cases if you don't show up for your family law hearing what the court could do is enter what is called a default judgement against you. What that means is that the court could give the other party all the relief that they are asking for. Some choose to go through a family court case without an attorney and the reason is because they cannot afford one. I know that's the case with many of the people who watch Command the Courtroom weekly videos. They are on their own they're trying to figure it out and make the best case possible for themselves. This particular viewer asked me if he's representing himself in his divorce case yet he does still have a little bit of money to spend is there some way that he could spend his resources to help him in his case? Do You Direct Examine YOURSELF when Representing Yourself in Family Court? When you are representing yourself in family court & presenting evidence, do you get on the stand & ask & answer questions to yourself? 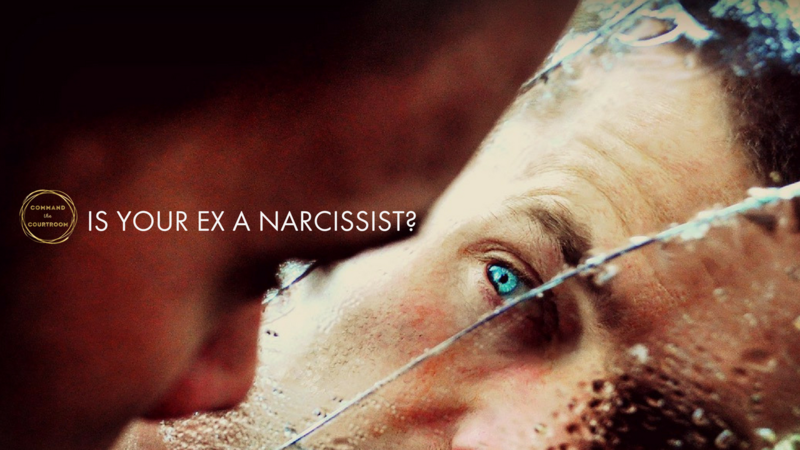 A lot of people representing themselves have this question. They wonder, since they are representing themselves in their own family law case, how it is that they conduct a direct examination of themselves when presenting their case. In other words do does she have to ask yourself a question and then answer it? Or is there some way that you can present the evidence to the judge to get your points across. The answer is that you don't necessarily have to sit there and ask yourself a question and then answer. What I have always seen is people getting on the stand and testifying in a narrative format about whatever it is that they want the judge to hear. In this week's video, I answer a question from a viewer about domestic violence that is committed in a DIFFERENT relationship than the one where child custody is being litigated. One of my viewers is going through a divorce and her soon to be ex-husband has a 15-year old child from a different relationship. And then she and her soon to be ex-husband have a younger child together. The soon to be ex-husband got into an altercation with his 15-year old daughter from the other relationship which resulted in some marks on her. What happened then was child protective services from her state got involved and stated that there may be evidence of child abuse taking place between the husband and his 15-year old daughter. So my viewer wants to know is can she use that information as evidence in her own divorce and custody case regarding the younger child that she and her husband share. Can a Judge Modify a Child Custody Order in the Future? This week’s video answers the question if it’s possible for a judge to modify the initial finding of a child custody order. This was a question that I got from one of my viewers and in her question to me she was wondering whether it's possible once the judge has made a final order about custody that at some point in the future that judge or another judge can go in and modify the initial finding for custody? Let me explain that a little more specifically. Say you were in court a couple of years ago and the judge awarded either you or the other party sole decision making over your children. It is possible that years down the road one parent or the other can go back to court asking the court to modify that decision.